Minimum capital requirement has been defined and to be maintained by a bank on solo basis as well as consolidated basis against RWA for credit, market, and operational risks. Process for assessing the overall capital adequacy aligned with comprehensive risk management of a bank. Framework of public disclosure on the position of a bank’s risk profiles, capital adequacy, and risk management system. Tier 3 capital called ‘Additional Supplementary Capital’, consists of short-term subordinated debt (original maturity less than or equal to five years but greater than or equal to two years) would be solely for the purpose of meeting a proportion of the capital requirements for market risk. b) Borrowing from head office in foreign currency in compliance with the regulatory requirement. d) Any other items approved by BB for inclusion in Tier 2 capital. a) The amount of Tier 2 capital will be limited to 100% of the amount of Tier 1 capital. b) 50% of revaluation reserves for fixed assets and securities eligible for Tier 2 capital. c) 10% of revaluation reserves for equity instruments eligible for Tier 2 capital. d) Subordinated debt shall be limited to a maximum of 30% of the amount of Tier 1 capital. e) Limitation of Tier 3: A minimum of about 28.5% of market risk needs to be supported by Tier 1 capital. Supporting of Market Risk from Tier 3 capital shall be limited up to maximum of 250% of a bank’s Tier 1 capital that is available after meeting credit risk capital requirement. d) Remaining deficit on account of revaluation of investments in securities after netting off from any other surplus on the securities. f) Holding of equity shares in any form exceeding the approved limit under section 26(2) of Bank Company Act, 1991. The additional/unauthorized amount of holdings will be deducted at 50% from Tier 1 capital and 50% from Tier 2 capital. g) Investments in subsidiaries which are not consolidated: The normal practice is to consolidate subsidiaries for the purpose of assessing the capital adequacy of banking groups. Where this is not done, deduction is essential to prevent the multiple uses of the same capital resources in different parts of the group. The deduction for such investments will be 50% from Tier 1 capital and 50% from Tier 2 capital. The assets representing the investments in subsidiary companies whose capital had been deducted from that of the parent would not be included in total assets for the purposes of computing the CAR. Eligible Tier 2 capital will be derived after deducting components (if any) qualified for deduction. Total eligible regulatory capital will be calculated by summing up the eligible Tier 1, Tier 2 and Tier 3 capital. 4. Minimum Capital Requirement (MCR): Minimum Capital Requirement (MCR) for the each scheduled bank in Bangladesh will be at least 9% of total Risk Weighted Assets (RWA) from July 2010 to June 2011 and 10% of total RWA from July 2011 to onwards or the amount determined by BB from time to time. Moreover, banks have to maintain at least 50% of required capital as Tier 1 capital. Banks have to maintain minimum CAR on ‘Solo’ basis as well as on ‘Consolidated’ basis as per instruction(s) given by BB from time to time. 5. Approaches for calculating RWA: Under the guidelines, for calculating RWA, Standardized Approach for Credit Risk, Standardized (Rule Based) Approach for Market Risk and Basic Indicator Approach for Operational Risk is being followed. • Credit Conversion Factor for Non-market-related OBS transactions. In respect of SRP, banks would have a process for assessing overall capital adequacy in relation to their risk profile and a strategy for maintaining their capital at an adequate level. Banks have been asked to form an exclusive body (called SRP team) where risk management unit is an integral part, and a process document (called Internal Capital Adequacy Assessment Process-ICAAP) for assessing their overall risk profile, and a strategy for maintaining adequate capital. 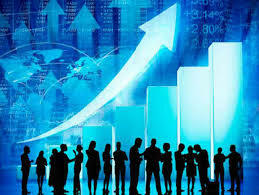 Adequate capital means enough capital to compensate all the risks in their business, and to develop and practice better risk management techniques in monitoring and managing their risks. Supervisory Review Evaluation Process (SREP) of BB includes dialogue between BB and the bank’s SRP team followed by findings/evaluation of the bank’s ICAAP. During SRP-SREP dialogue BB will review and determine additional capital to MCR of banks. For this purpose, banks are asked to provide information in specified format on risks addressed by BB under SRP in line with their own ICAAP. 7. Reporting Requirement: All banks are required to submit the RBCA report (according to the prescribed formats) on quarterly basis within the next 30 days of each quarter-end to the Department of Off-site Supervision of BB. • fails to submit the RBCA report within stipulated time without any acceptable/ satisfactory reason.